Pheasant Hill is situated outside Irene and close to the Rietvlei dam and Rietvlei Nature reserve. The guest house has 5 different venues for different size functions and 23 luxurious en suite rooms, professionally and stylishly decorated with private entrances for all the rooms. 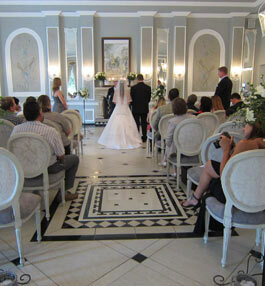 We have a room for the bride to get dressed and a honeymoon room for the couple to stay over after their big evening. These are both included when you book your wedding at Pheasant Hill. 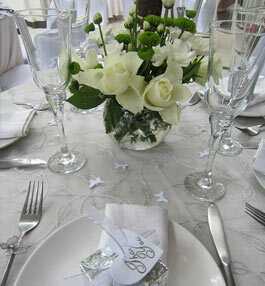 We also have our own in-house coordinator and wedding planner which can help you to plan your big day. 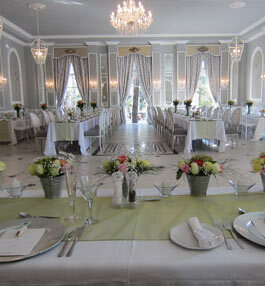 We have a beautiful venue done in a Classic French style, called “Ile de France”. This venue can seat up to 130 for a wedding with a dance floor and was built in double volume with high ceilings which gives it an even statelier feel. All artwork and finishes was done by artists and this all add to the amazing ambience of this beautiful venue. We can use round or long tables or a combination of the two different tables. All add to the unique experience you will get here. 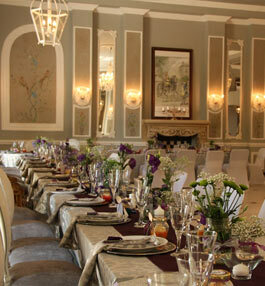 This venue is the jewel in the crown at Pheasant Hill and you cannot get more stylish than this. This venue comes with the DJ which have a separate DJ –box built in over the bar. 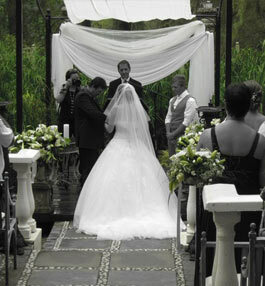 We also have an outside “Chapel” in the style of an Amphi theatre with a wooden deck over the water for the ceremony. “The Patio” under the vines is a small outside garden option which can host up to 50 people. This is ideal for a beautiful outside garden setting. 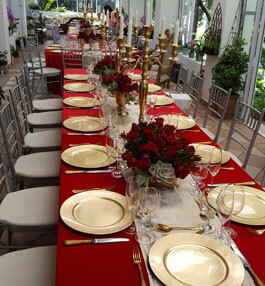 We normally use the long tables here to give a very festive look. “The swimming pool” area is right next to the conference and function venue. 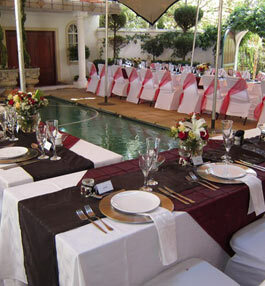 The outside swimming pool area can be covered with a stretch tent as well with café tables around the pool with floating flowers and candles in the pool. This is very romantic setting for up to 40/45 people and with the small function venue right next to it, it forms a very versatile area. We also have an area next to the arena on the other side of the “Gazebo” with café tables under the trees. 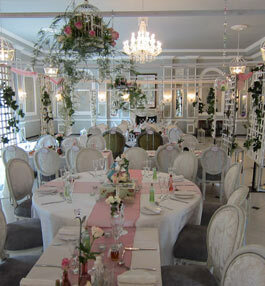 This is an ideal setting for an informal morning wedding for up to 60 people. 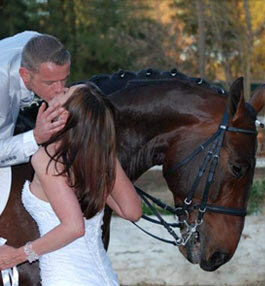 We put a horse in the arena to get the country estate feeling for functions like this.